Just about all the books are still available from last week for DC. Some retailers sold out of the Wonder Woman Maroto variant for Wonder Woman #67. Not much action on the secondary market for the Maroto Variant B. It’s cool art but I think previous artists have set the bar a bit higher to classify these as Killer B covers, which to me, this one is not. Major X #1 hit store shelves and were selling out online initially. Some stores they’re still in stock but might be limited to 1 per customer. 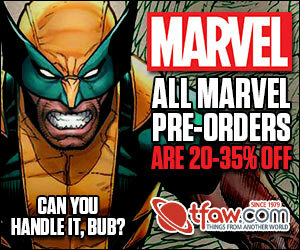 TFAW you can pre-order the second print. It’s still unknown if this turns out to be a hit though, could be more of a long term hold but a lot of sales putting this as a $10 book. Not sure why so many are buying secondary prices when you can still find these for cover online and likely at your local shops. There was some controversy from Liefeld himself complaining like a little girl that Spider-Man Deadpool #47 actually had the first appearance/cameo for this new character Major X. Seems once that was discovered, people are flocking to these instead of Major X #1 . Spider/Deadpool #47 is now flirting towards the $30 range, with most averages putting it in the $25 range on recent sales. Surprisingly, the ratio variant that most retailers likely listed around the $25 to $30 range is only averaging around $40 on the secondary market. Seems most are going for cover A. 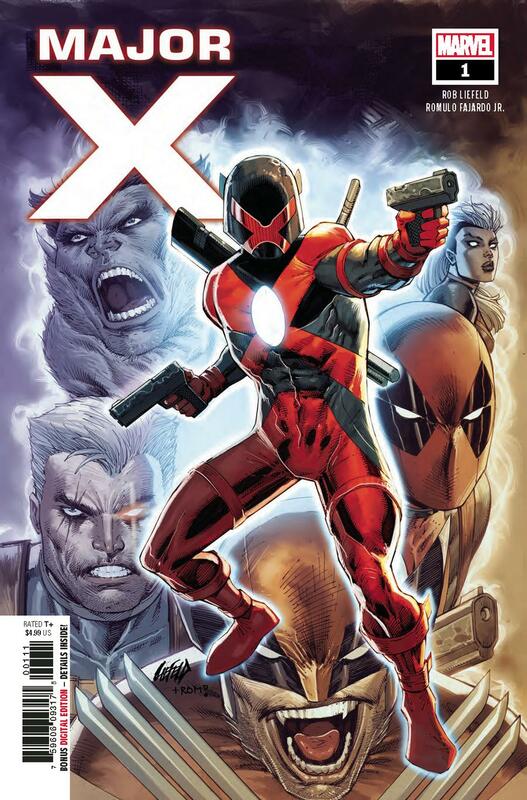 So if you’re out grabbing comics, check the back issues for the real first appearance and cameo of Major X. I guess the one thing Major X has going for it is the first appearance of Dreadpool.. how original right? 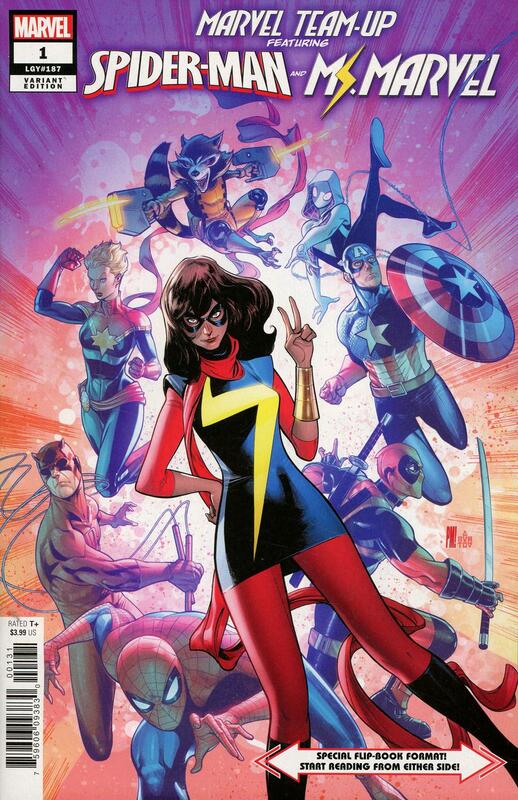 The Marvel Team-Up #1 Paco Medina Variant was a $45 dollar type variant to start off for most retailers, selling out online but overall the secondary market sales not as good. The highest sold was $75 but recent sold listings around the $47 range. I believe this was a 1:50 ratio variant. 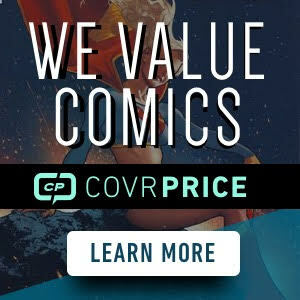 If you find cheap, could be a long term hold before it’s appreciated but since there’s no first appearances or anything, it’s definitely a gamble if you’re buying at retailer type prices or higher. This one has a better chance of going down in value over time rather than up. 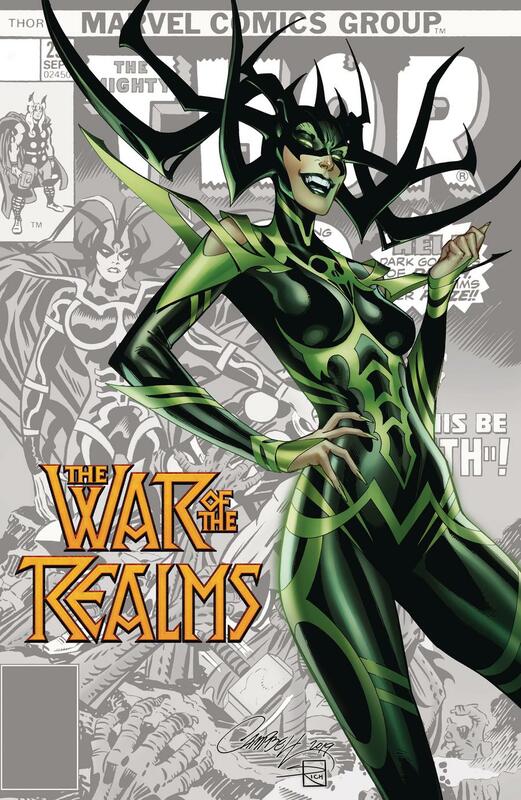 Another book we talked about is the War of the Realms #1 J. Scott Campbell variant. It’s not selling above cover on the secondary market but I feel this one could be that long term grab and hold. Most online retailers are showing sold out while most of these same retailers still show all the other covers available. This is an event book so expect it to be well above the 100k print mark when comichron releases the numbers next month. 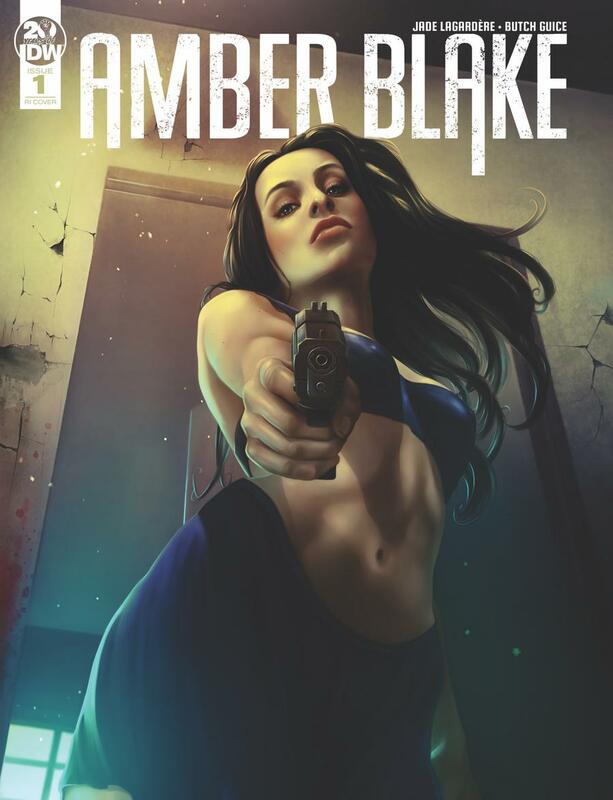 The only one worth noting this week is the Amber Blake #1 Nodet 1:10 variant which is seeing some crazy prices, upwards of $100 range. You can still find the Regular Cover by Guice online. I have a question for you people who actually read this weekly review. Would it help to post these earlier in the mornings on Wednesdays while you’re out at the local shops or do you all still prefer them in the early evenings? To answer your question, evenings or mornings is fine. Also, don’t say Liefeld is whining like a little girl, that is offensive to all the little girls out there to compare them to an unprecedented whiner like Liefeld! That is true, I apologize to all the little girls of the world. You all are so much better than Liefeld. Just keep them coming.You do a great job. Mornings would be great, but whatever is easiest for you. anytime is fine with me. If I miss something at the lcs I just try to find it online. Your post are great. Please keep them coming. Post whenever its convenient for you. Thank you. I was about to buy the Major x #2 Noto Variant and stopped myself after seeing all the stupid of the first appearance BS… on a side note man that Major X #2 A cover is just horrendous WTF is up with wolverine and why is Major X holding up his arms like that with the pistols pointed up. While yah its a trope at this point in regards to hos artwork, but damn dood, seriously what the hell happened there. a lot of this article is a rehash of the picks from a week. Earlier is better, but if it’s a disruption to you to do so (you already do so much on Tuesday evening) I’d say later in the day has been fine. Its a definite rehash but its just a nice way of seeing what books are doing a week later as thats when most of the action occurs. Looks like most are just satisfied with have the content to reference to when they’re out hunting (myself included of course), and defer the release time to whenever is convenient for you. As this is info about the previous week’s release, it’s not (for the most part) “breaking news” that needs to be timed accurately. Of course that depends on a week by week basis, or book by book basis. Take this Nodet 1:10 Amber Blake variant. Being armed with the knowledge that this $10 USD large format book is commanding $100+ sales, before you go out hunting, or better yet while in-store hunting and you’re lucky enough to find and pick up said book, means that this article’s release time is paramount. Sadly though this is not the norm, so the timing is not as essential as the presence of the information itself.